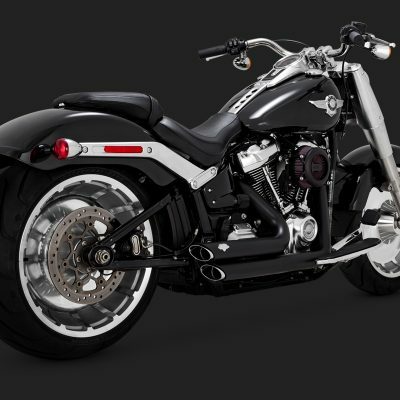 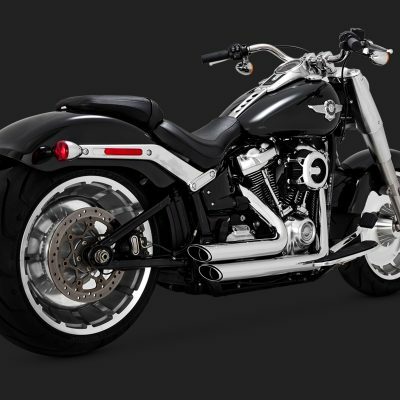 The original game changer, Big Radius 2-into-2 redefined what an aftermarket exhaust system should be, combining the radical sweeping style of a one-off custom with precision quality features like full coverage heat shields and dyno-tuned baffles. 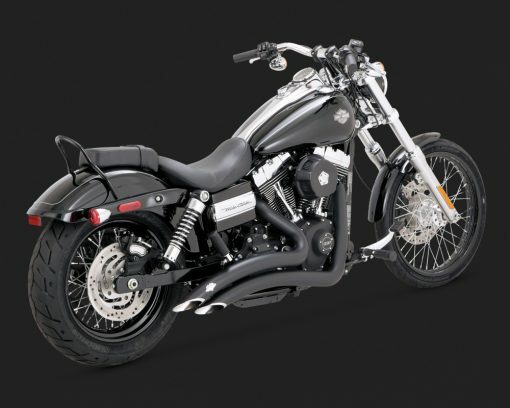 And Big Radius 2-into-2 Black carries the signature look of the Vance & Hines black line featuring a matte black finish contrasted with a chrome Vance & Hines badge and end treatment. 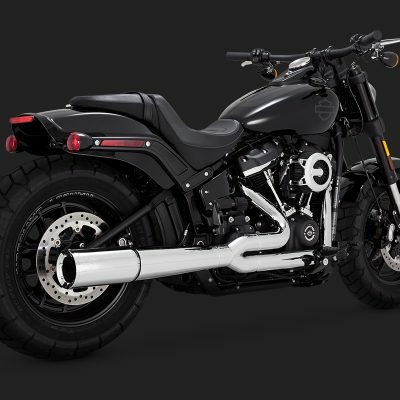 For 2012, Vance & Hines has designed a new flat plane mounting panel for the 12mm oxygen sensors now employed across the Dyna model line, which positions the sensor deeper into the exhaust stream, providing enhanced data feedback to the ECM.